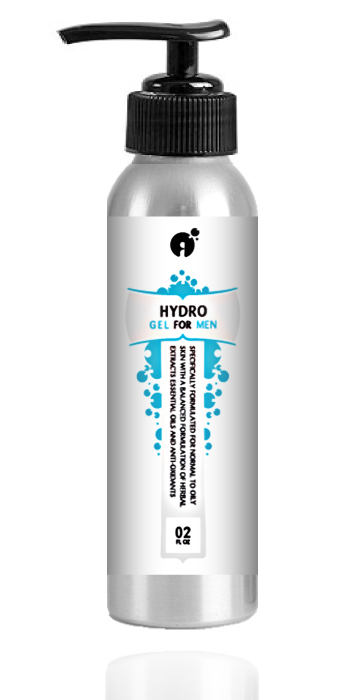 Hydro Gel for Men is a water-based formula for all skin types. 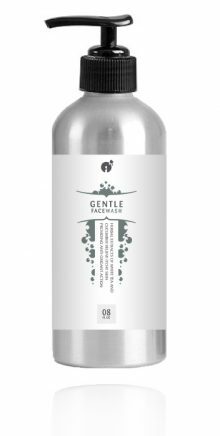 With a balanced formulation of herbal extracts, essential oils and anti-oxidants, daily use of this gel will diminish fine lines, reduce blemishes, reduce irritation after shaving and improve skin tone. Hydrate and protect skin without greasyness. Whether you use an electric shaver or not, men who shave daily increase their chance of skin irritations and developing a shave rash. This can lead to skin inflammation and itch. Reverta’s Hydro Gel for Men calms and soothes irritated skin after shaving and reduces itch and inflammation. Men who have a fast growing beard often suffer from irritation and itch due to ingrown hairs. Reverta Hydro Gel for men is rich in botanical extracts and other natural ingredients that with daily use will soothe and calm the skin, reduce itch and skin irritation and will further reduce inflammation. Cucumber extract and hyaluronic acid will cool, soothe and calm the skin after shaving and resulting in softer, less irritated skin. Homeostaine inhibits a group of enzymes called Metalloproteinases and other pro-inflammatory substances, reducing irritation and redness. The inflammatory process is further reduced by the essential oils Tea Tree oil, Patchouli Oil, Geranium Oil and Cedarwood Oil, plus extracts of licorice root, grape seed, reishi mushroom, pumpkin seed, turmeric, mastic gum, wormwood, hyaluronic acid and pro-vitamin B5. The result is less irritation, less redness, less itch and less blemishes after shaving. Sea Fennel extract and hyaluronic acid further repair and strengthen the natural skin barrier of the male skin, thereby increasing the skin’s resistance to inflammation and irritation. The natural ingredients in Hydro Gel for Men enable the skin to recover faster from nicks and cuts during shaving. Try Reverta Hydro Gel for Men Risk-free for 3 Months! Optimal hydrated skin with less irritation and redness is possible. Male skin is often more oily than female skin. For that reason, Reverta Hydro Gel for men is formulated as a water-based formula to provide optimal hydration of the male skin without the chance of clogging pores. 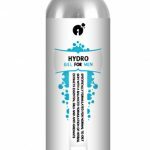 The main moisturizer in Hydro Gel for Men is hyaluronic acid, a natural substance mostly found in connective and epithelial tissue. For that reason, it can be safely used without side effects for long periods of time. Hyaluronic Acid is one of the most powerful natural moisturizers, as it can absorb 1,000x its weight in water. It hydrates, increases volume and gives skin more elasticity. Other botanical extracts in Hydro Gel for Men promote optimal skin hydration. Pro-Vitamin B5 and Sea Fennel extract prevent skin de-hydration. Men who are using Hydro Gel for Men appreciate that it absorbs into skin quickly without leaving a sticky film, and without clogging up pores. The result is deeply hydrated skin with less irritation and redness! Reverta Hydro Gel for Men contains botanical ingredients, antioxidants and vitamins that are important for healthy male skin. Reverta’s Hydro Gel for Men contains many bioactive nutrients that are essential for male skin. Your dermatologist will tell you that if you want great looking skin, you not only need to eat well, but you also need to ‘feed your skin‘. Healthy looking skin needs a broad range of nutrients and Hydro Gel for Men provide these essential nutrients more than any other skincare product on the market. Our refreshing facial gel provide numerous essential nutrients for the skin, including antioxidants, polyphenols, flavanoids, minerals (magnesium, potassium, selenium and zinc), vitamins (A,B,C,D,E and K), amino acids and peptides. The result is healthy, glowing and revitalized skin. As male skin can be more oily, there is an increased chance of developing acne. A daily shave can add to this problem, as dirt, bacteria and shaving cream can clog up pores. Use Hydro Gel for Men once daily to lower your chance of developing acne. Hydrogel for Men can prevent these problems by eliminating bacteria, unclogging pores and by strengthening the skin’s barrier function. Botanical extracts, including turmeric, wormwood, grape seed, reishi. mastic gum, cucumber, essential oils of tea tree and patchouli are anti-microbial and anti-inflammatory. Studies have shown that tea tree oil is as effective as benzoyl peroxide in treating acne, but without the side effects of redness and peeling skin. The licorice root extract found in Hydro Gel for Men contains the flavanoid licochalcone-A, which regulates sebum production and kills bacteria. This results in calmer, soothed skin with less irritation and redness. Because of this, your skin has less chance of developing acne and pimples. Try Reverta Hydro Gel for Men Risk-free for a full 90 Days. Hydro Gel for Men contains many botanical extracts and other natural ingredients that help eliminate fine lines and wrinkles. Stronger, smoother skin with less wrinkles! Reverta Hydro Gel for Men is the first skincare product for men that contains the anti-aging ingredient Homeostatine®. Homeostatine contains two natural botanical ingredients combined: a pentasaccharide (MPS) from seaweed and a polysaccharide from the South American Tara tree. It is high in amino acids, minerals and vitamins for firmer, rejuvenated skin. Homeostatin re-establishes homeostasis in the skin’s extra-cellular matrix, improving elasticity. It also stimulates the production of collagen I and III and elastin, for firmer, younger looking skin. 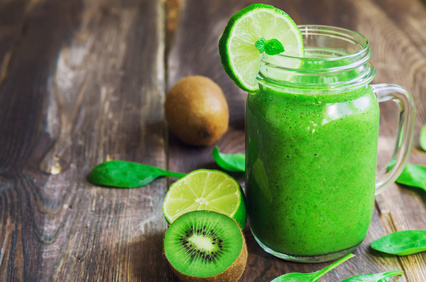 Studies have shown that Homeostatine is more effective in reducing wrinkles than vitamin C.
Additional ingredients such as Co-enzyme Q, Sea Fennel, turmeric, grape seed, cucumber, licorice, pumpkin seeds and mastic gum all stimulate the production of collagen and elastin, improving the skin’s flexibility and strength. The main moisturizer in Hydro Gel for Men is Hyaluronic Acid, which will keep the skin firm and hydrated. It is one of the most sought after ingredients to slow down and even reverse the signs of aging. 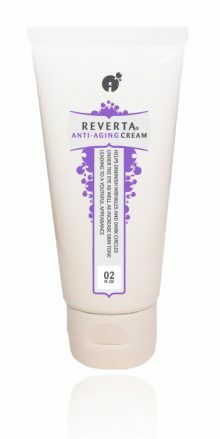 Daily use of Reverta Hydro Gel for Men will eliminate fine lines and wrinkles and keep your skin looking refreshed, energized and revitalized! Reverta Hydro Gel for Men contains many vitamins and strong antioxidants. Protect your skin and slow down the aging process! Free radicals damage skin and speed up the skin’s aging process. Reverta’s Hydro Gel for Men contains a unique blend of nature’s most powerful antioxidants, such as Co-enzyme Q10, extracts of grape seeds, turmeric, Reishi mushroom, mastic gum, sea fennel and pro-vitamin B5. Grape seed extract contains both pycnogenol and resveratrol, which are nature’s most powerful antioxidants. The antioxidants found in Hydro Gel for Men protect the skin against damage from oxidative stress as well as against damage caused by harmful UV rays from the sun and harsh weather conditions. Collectively, the antioxidants slow down the aging of the skin and with daily use your skin will be stronger and look younger. Additional ingredients such as Homeostaine®, pumpkin seeds, licorice root, reishi mushroom and geranium stimulate cell renewal. Hyaluronic acid, geranium and turmeric increase the shedding of dead skin cells. Your skin will be rejuvenated and refreshed, with better complexion and increased radiance! Did you like this page? Link to this page by using the code in the box! distilled water, Carbomer 940, EDTA, Triethanol-amine, Hyaluronic acid, herbal blend of licorice root (G. glabra), grape seed (V. vinifera), reishi mush-room (G. lucidum), mastic gum (P. lentiscus), cucumber (C. sativus), tumeric (C. longa), fucoidan (C. cladosiphon), pumpkin seed (C. pepo) and wormwood (A. absinthium); essential oils of tea tree (M. alternifolia), patchouli (P. culstin), geranium (P. graveolens), cedarwood (J. virginiana), Pro-vitamin B5, Co-enzyme Q, Potassium Sorbate (preservative), grape fruit seed (C. paradisi) extract (preservative), white tea (C. sinensis) fragrance. Use once daily, at night or after shaving. Apply to entire face except on areas close to the eyes. If a persistent rash appears, discontinue use and consult a physician. Feeling insecure about your aging skin? Reverta and the Reverta logo are registered trademarks of Reverta Health Solutions LLC. Statements made and products sold on this website have not been evaluated by the Food and Drug Administration. Products are not intended to diagnose, treat or cure any disease. Individual results will vary - 90-day Money-back guarantee on all products.